We hired Justin and Jesse to play our ceremony and cocktail hour. My husband and I are both musicians and we were very impressed by their talent. We loved their "bespoke" style of jazz, classics, and folk which fit perfectly with our rustic, barn wedding. Justin was very nice to work with and help coordinate everything. Plus, since they're based upstate, they were much cheaper than musicians in NYC. Overall, wonderful guys who add a unique touch to any occasion. We loved having Jesse and Justin from Skylark Music play during our wedding ceremony. They helped us brainstorm ideas and came up with beautiful renditions of the songs we selected. Their music felt so “us” and served as a perfect introduction and ending to our ceremony. We would highly recommend them to anyone looking for a talented and flexible duo to play at their wedding! It was tremendous working with Skylark Music to handle the music for our outdoor wedding ceremony. From song selection and planning to improvising to fill the time when we had a little delay, they did an extraordinary job with the music. Skylark even accommodated a last minute song request, learning the music quickly and making it beautiful. 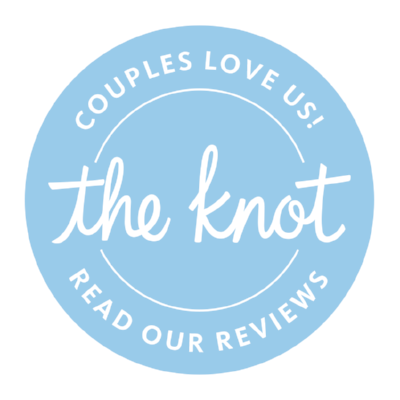 We knew we were in good hands, and we remain grateful for them going above and beyond to help make our wedding day magical. We highly recommend Skylark for your live wedding music! It was our desire to not have a wedding sort of wedding – rather a Sunday evening dinner surrounded by those we love best… Spaghetti with a side of nuptials… With the delicate hearts of our six children to consider we wanted this momentous event to feel safe and easy. As we all gathered together it was the gentle music of Justin and Jesse that set the tone literally. This joyous evening had such an emotional component but yet was a true celebration of love and of family – Thank you J+J for so carefully creating a soundtrack for that evening that was beautiful from start to finish. I am so pleased to recommend the music of Skylark for any live event! Have only the best things to say about Justin from Skylark Music!! We asked them to do one song for our processional, and they were willing not only to travel and make it happen, but asked really specific and insightful questions to make sure that they got everything right when the moment came. And WOW was it effective. Between Justin's guitar and voice and the accompanying mandolin, our song set the perfect tone for the rest of the evening- conveying intimacy and whimsy and a little humor. We loved working with them and would happily call on them again if we had another occasion! Thank you so much, Skylark! We have been married for 8 years and mainly attribute our unmitigated happiness to Skylark's outstanding work at our wedding reception. Past marital results do not guarantee future bliss, as they say, but I can at least speak for Skylark's professionalism and musical chops: they are excellent. They provided very tasteful, mood-relevant music for our cocktail hour and early dances, with a great sound, warm timbre, and highly appropriate improvisation. I also had some very specific groomzilla requests in terms of certain songs having certain types of performances ("I want the Chet Baker version, not the Sinatra version, goshdarnit!!") that they handled with dexterity and aplomb, with nary a blink at my slavering wild-eyed bellowing. Skylark Music: 10 out of 10, would choose again.